Good Dogma wants all dogs and cats in our community to have a happy, healthy home. Sometimes families are forced to decide between meeting the needs of their pets or their own. And we are here to help. We aim to keep people and pets together during tough times by providing food, shelter, bedding and other pet supplies to those in need in Midwest City and surrounding communities. 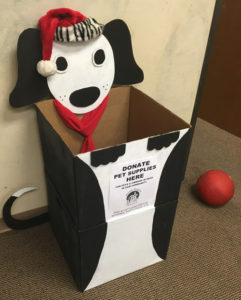 We accept pet supplies donations including dog houses, blankets, toys, and food (dog and cat). Contact us to donate. 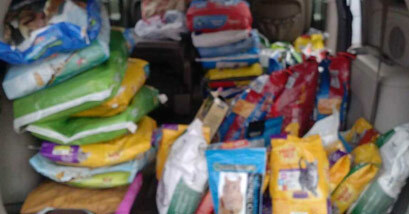 If you are in need of pet supplies or know of someone who is, let us know! We may be able to provide temporary assistance depending upon supply availability. Two paws up for Red Rock Self Storage in Midwest City for providing us with free storage for our pet supplies.